PHP is a server-side scripting (PHP Web Application) thus providing high security and it mainly used in creating web pages, web application, and dynamic/static website. With the high level of security, it also features high performance, scalability, and custom customized on demand. 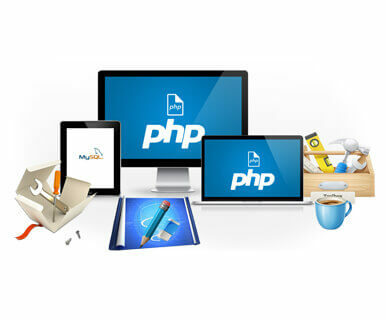 SD Web Solutions (PHP Website Development Company in Bareilly), with the expert team of PHP developers, will also offer you best and far most advance application with user-friendly interfaces. All advance feature of PHP makes it the best-suited programming language for a custom website, dynamic website, a static website with a large number of pages, web application and developed as per the required requirement.